Palladium prices were driven further into uncharted territory on Tuesday, briefly topping the $1,600 per ounce level on the back of an expected spike in demand from the auto sector just as top producer Russia considers banning scrap exports. The precious metal is trading more than 70% higher than this time last year. Reuters reports Russia is mulling a ban on the export of precious metals scrap and tailings to promote domestic refining of the materials. 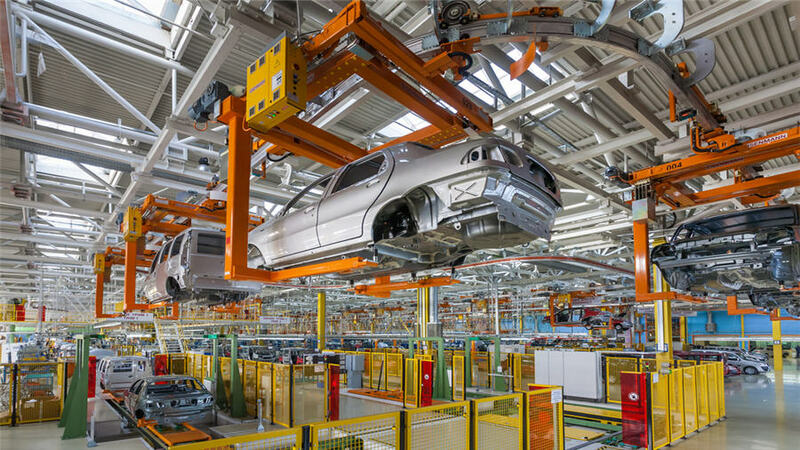 The news follows an announcement last week that US authorities have ordered Fiat Chrysler Automobiles to recall 965,000 vehicles over failed emissions testing. The automaker could also face a consumer class action lawsuit over potential delays in implementing the recall. Palladium is mainly used in catalytic converters for gasoline-powered vehicles to scrub emissions and some estimates put the required palladium to bring the recalled vehicles up to standard as high as 100,000 ounces. Palladium supply is a byproduct of platinum mines in South Africa and nickel mining in Russia, which between them control nearly 90% of global output. The market has been in deficit for several years and above ground stocks including Russia state stockpiler which have kept prices in check in the past have dwindled rapidly. Demand for sister metal rhodium associated with the recall is estimated at around 25,000 ounces. Prices for rhodium recently hit decade highs and the metal is now trading above $3,000 an ounce. 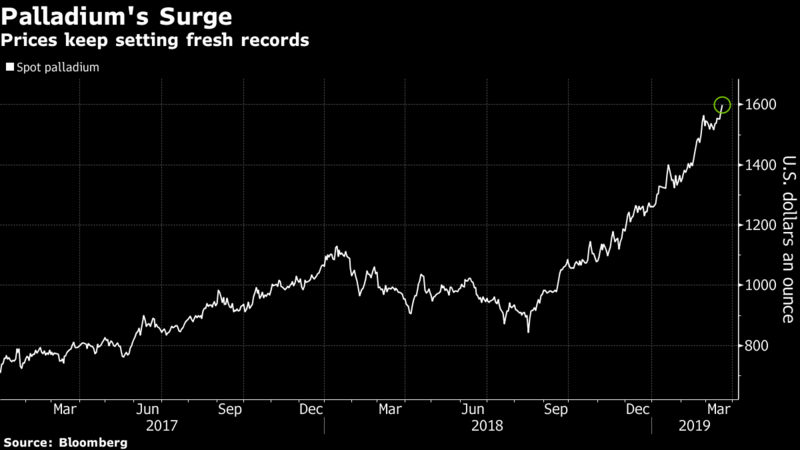 Platinum, which at $836 an ounce is trading at a record discount to gold and palladium, is used mainly in catalysts for diesel-powered vehicles. Platinum is a viable candidate as a substitute for palladium, but a platinum autocatalyst with the same efficiency is likely years away.